NEW YORK, NY - MAY 07: Chairman and CEO, JPMorgan Chase & Co, James ‘Jamie’ Dimon speaks during An Evening With the Fortune 500 at the New York Stock Exchange on May 7, 2012 in New York City. Remember the “Volcker Rule” that was supposed to stop systemically significant financial institutions from wracking up huge losses on proprietary speculative bets? Well earlier this evening JP Morgan CEO Jamie Dimon announced that his company just lost $2 billion on some of (French-born) “London Whale” Bruno Iksil’s bets on credit default swap indexes. Dimon repeatedly insisted that the whole operation is Volcker-compliant, and JP Morgan is describing the operation as an effort at hedging gone wrong. Nobody knows exactly what happened, but in general if you just lost $2 billion that’s a good sign that you’re not hedging. The idea of hedging is to accept a small cost in order to insure yourself against the risk of a big loss. Two billion dollars is a big loss even for JP Morgan. So why call it hedging? Presumably because the Volcker Rule allows proprietary trading for the purposes of hedging. This turns out to be a big loophole. As it happens in this case JP Morgan has a big enough capital buffer to eat the loss and they only lost $2 billion rather than $20 billion. But nothing was stopping them from screwing up even worse. 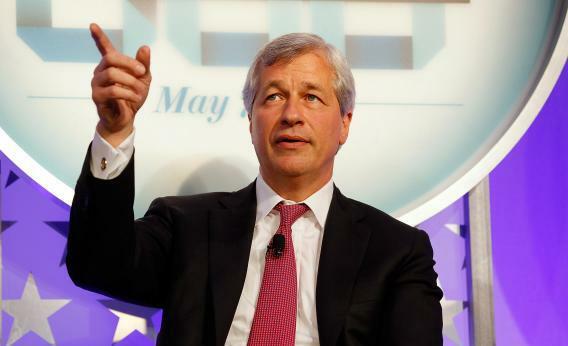 Dimon’s biggest regulatory beef is with a requirement that will force JPMorgan and other large banks that are deemed “Systemically Important” to hold as much as a third more capital than the minimum other banks have to hold to protect themselves against bad loans and other losses. He called the rule “contrived,” and said that it would make the banks less diversified, not more so. Dimon said he also had problems with the Volcker rule, which limits banks’ ability to make risky trades, and with rules that govern derivatives, an area that JPMorgan is big in. Indeed, if only JP Morgan were allowed to run a thinner capital buffer and riskier trades. Then we’d all feel safe.